Subsea Valves with a difference. Our unique glandless subsea needle valve benefits from market leading concentricity, eliminating factors that contribute towards gauling. 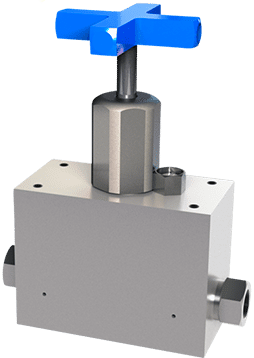 The very core of our subsea needle valve range starts with individual elements, designed to be modular and applied to an array of bespoke manifolds and configurations. Our base design considerations have been developed to allow for flexible product specification. Full bore ports, up to 13mm, 20,000psi (1375 Bar) working pressure, -45 to +180 deg C, Single Isolation, Single Block and Bleed, Double Block and Bleed & custom configurations. Glandless bonnet utilises pressure energised multi element chevron stem seals, thus eliminating the requirement for routine adjustment. Cartridge style head unit allows quick change out, reducing maintenance down time. JB Valves manufacture to client specifications. API, ASME, ANSI, DIN, & threaded connections can be manufactured to order. 316, Duplex, Super Duplex, Inconel 625, Incoloy 825, Monel, 6Mo, LF2, other materials available on request. Full Bore ports, up to 13mm (10mm Standard). JIC, NPT, BSP & Medium Pressure Ports available as standard (other connection types available upon request). 3000m (10,000 ft) water depth. Up to 1375 Bar (20,000) psi working pressure (dependant on port type). Proof Tested at 1.5 x Design Pressure (1.65 x Working Pressure) allows system testing including pressure relief valves. Non wetted threads on both bonnet and stem eliminate crevice corrosion and contamination. Cartridge style head unit allows quick change out, reducing maintenance down time. Multiple ingress seals on stem and body-bonnet joint provide extra protection against water ingress. Symmetrical non-rotating tip design, ensures primary sealing and back seat feature are equally effective. Glandless bonnet utilising pressure energised, multi element chevron stem seals, eliminates the requirement for routine adjustment. Nitronic stem as standard, increases resistance to wear and galling, resulting in superior cycling endurance. Available in single Block & Bleed & Double Block & Bleed Variants. Colour coded, powder coated, stainless steel handles in Conventional X, Y & T bar styles, provide clear visual identification for diver operation. Threaded mounting holes as standard, provide multiple options for mounting. We can build powerful solutions, which are more advanced than ever. If you are interested working with our forward thinking & dynamic team call us on +44 1484 509 888.